A 10-minute room scale virtual reality film co-produced by PBS Frontline and Emblematic Group. CREDIT: Director and reported by. 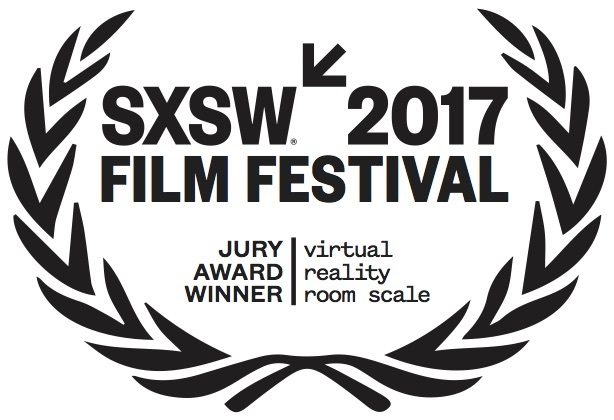 Winner of Best Room Scale Film at the SXSW 2017 VR Cinema, the Imperial Crown prize at World VR Forum 2017, Special Mention – Virtual Reality at the 2018 Social Media Impact Awards, and Excellence in Immersive Storytelling at the 2017 Online Journalism Awards. When Kenny Moore was convicted of aggravated assault, burglary and theft and sent to Maine State Prison at age 18, he expected to serve an 18-month sentence. But after a series of fights and disruptive behavior, he was sent to solitary confinement, where his disruptive behavior only worsened. All in all, Kenny spent five-and-a-half years in solitary confinement and nearly 20 years in and out of prison. Inside solitary, Moore ripped the hair out of his body. He bit chunks out of himself. He started hearing voices. He wrote messages on the wall of his cell with his own blood. “It turns you into an animal,” Moore says in After Solitary, a new virtual reality film from FRONTLINE and Emblematic Group. In After Solitary, follow Moore as he narrates an immersive, 360° tour of a solitary confinement cell, recounting what his life was like on the inside — and how that experience has impacted his life now that he’s a free man. The film is a visceral window into the practice of solitary confinement, which Maine State Prison began reducing the use of while Moore was locked up. The prison also started offering rehabilitation classes to inmates, and says that since 2011, rates of violence and self-harm have dropped dramatically. But studies show that inmates who have spent significant time in solitary are more likely to be sent back to prison. Meanwhile, Moore, who was released last fall, is struggling to adjust to life on the outside. He rarely leaves his bedroom. It is, he says, his “own personal prison” — and the place where he feels most safe. AFTER SOLITARY was produced with support from the Knight Foundation. Directed and produced by Cassandra Herrman and Lauren Mucciolo. Reported by Lauren Mucciolo. Music by Jonny Pilcher. For Emblematic: Executive Producer: Nonny de la Peña. For Frontline: Executive Producer: Raney Aronson-Rath, Director of Digital Video: Carla Borras.